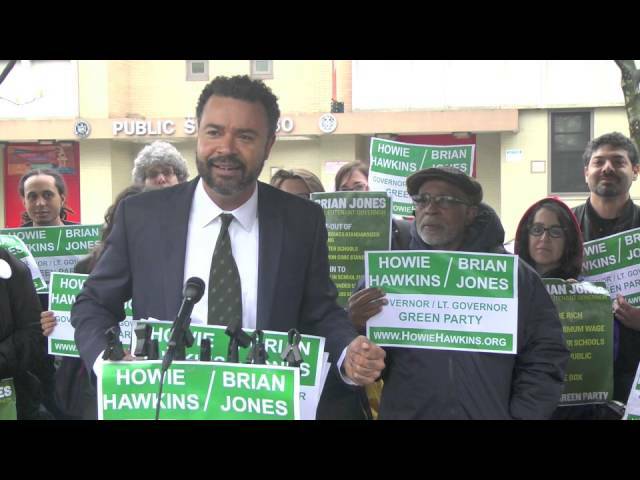 This entry was posted in Green Party and tagged 2014, Brian Jones, Governor, Howie Hawkins, New York, New York City, Working Families Party on November 5, 2014 by Ross Levin. On November 24, Dennis Spisak said that he will seek the Green Party’s nomination for Governor of Ohio. He was the party’s nominee in 2010, and he polled 1.52% in a four-party race. It is very likely that the Green Party will intervene in the pending Libertarian Party lawsuit, arguing that the new ballot access law cannot be applied for the 2014 election. This entry was posted in Green Party and tagged Dennis Spisak, Governor, ohio green, Ohio Green Party on November 25, 2013 by paulie. An additional televised debate has been announced and Robert Sarvis has been invited to participate. The debate is being hosted by radio station KissRichmond.com and local news channel 8 at wric.com. This entry was posted in Libertarian Party and tagged debates, Governor, Robert Sarvis, Virginia on October 21, 2013 by paulie. This entry was posted in Constitution Party, Green Party, Libertarian Party, Socialist/left parties and tagged Congressman Goode, Congressman Virgil Goode, debate, Dr. Jill Stein, free and equal, Free and Equal Debate, Gary Johnson, Gov. Gary Johnson, Governor, Green Party, Jill Stein, Libertarian Party, Mayor Anderson, Mayor Rocky Anderson, New Mexico, October 23rd, Rocky Anderson, Salt Lake City, third party debate, Utah, Virgil Goode, Virginia on October 23, 2012 by Trent Hill. This entry was posted in Libertarian Party and tagged Chuck Muth, convention, Gary Johnson, GOP, Governor, Las Vegas, libertarian, New Mexico, nomination, President, Red Rock, Republican, Wayne Allyn Root on January 3, 2012 by Bruce Cohen. Gary Johnson had his much anticipated Press Conference this morning at 10 AM Mountain Time in the Capitol Rotunda of New Mexico. This entry was posted in Libertarian Party and tagged fair tax, Gary Johnson, Governor, Keystone, marijuana, military spending, Mitt Romney, Newt Gingrich, Obama, President, Republican, Ron Paul on December 28, 2011 by paulie.